This recipe is a real box ticker. 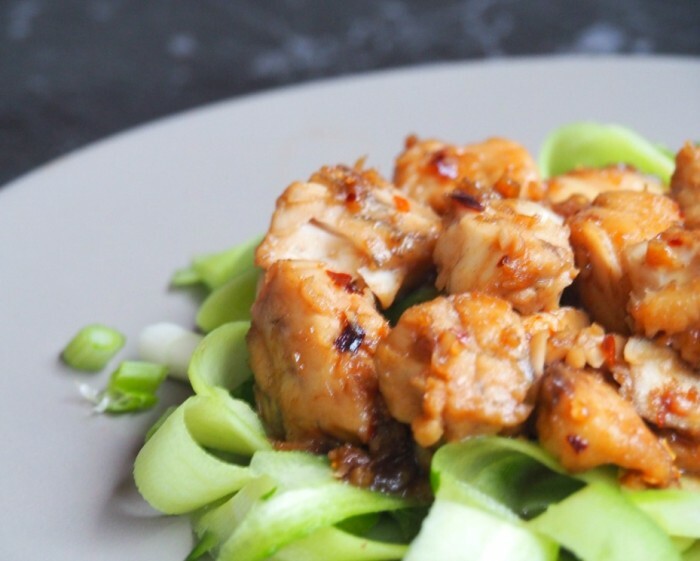 It’s super quick, it’s super easy and super delicious. 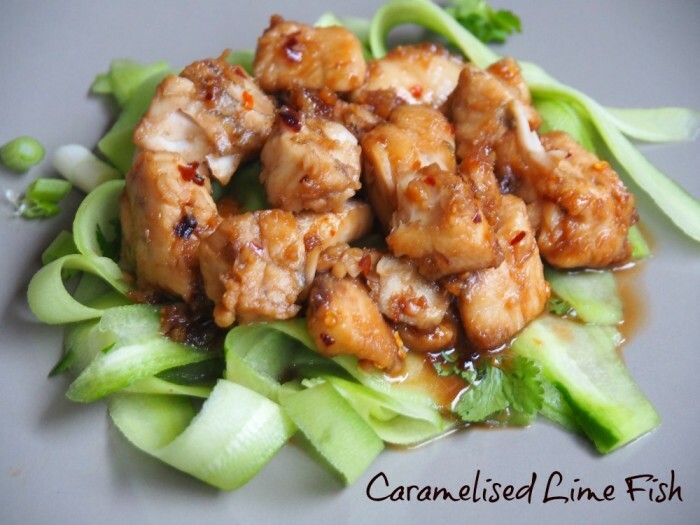 The flavours in the sauce work so brilliantly together and the freshness of the simple cucumber salad brings some value added fresh to the sweet, sticky sauce. Best of all, you can make this in minutes, and still serve up a really beautiful and tasty plate of food. Cut the fish into large pieces. Heat a non-stick frying pan or wok over high heat. Add the oil and fish and cook for 1 minute on each side or until brown and sealed. Mix the lime juice, sugar, fish sauce, soy and chilli in a small bowl an add to the pan with the fish. Cook, turning once, for about 4 minutes or until the fish is just cooked through and the sauce has reduced and is sticky. To serve, place the cucumbers, coriander and onions on plates and top with the fish. Spoon over the pan sauce and serve.